Kays Kids: Granny said I cracked a tantrum. Granny said I cracked a tantrum. Is upset, sad, unhappy, cranky, jealous, disappointed, envious, bad mood, sulking, kicking of legs and arms, crying a tantrum? 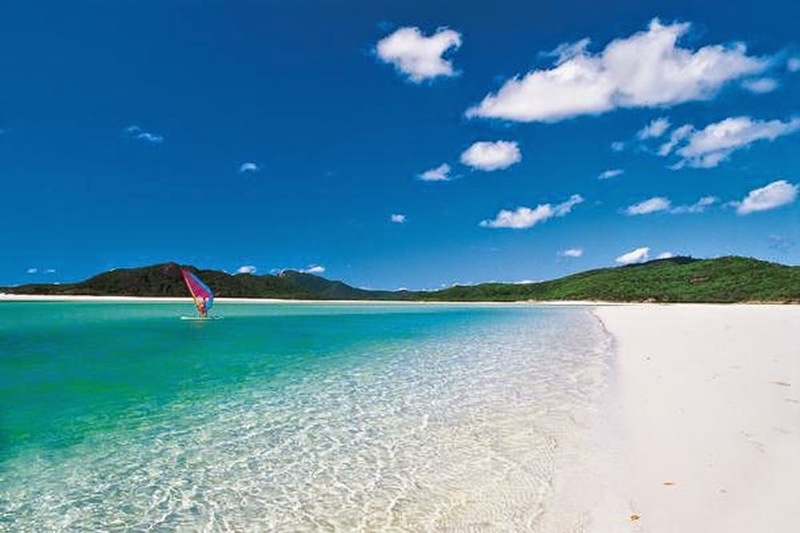 Well I felt Mad and I wanted to go to Queensland with Granny. I really want to go on a holiday with Granny. She kept telling me that I am going to camp very soon, so don't be disappointed. What happen when I tell my brain not to be disappointed but my heart won't listen to it? I don't want to talk to any one, I don't want to listen to Granny telling me it will be OK.
Well I will let you see her pictures but I am not listening, or looking. 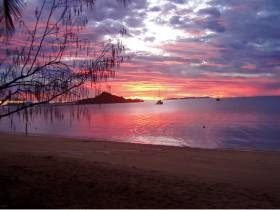 Hi to all Wilbur's friends I thought you might like to look at a little bit of Paradise. 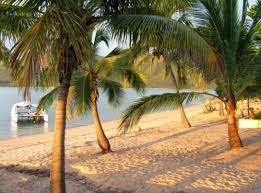 "Paradise!!!! !You didn't take me to Paradise"??? What is wrong with you Granny". sob, sob, wha wha... kick, kick. 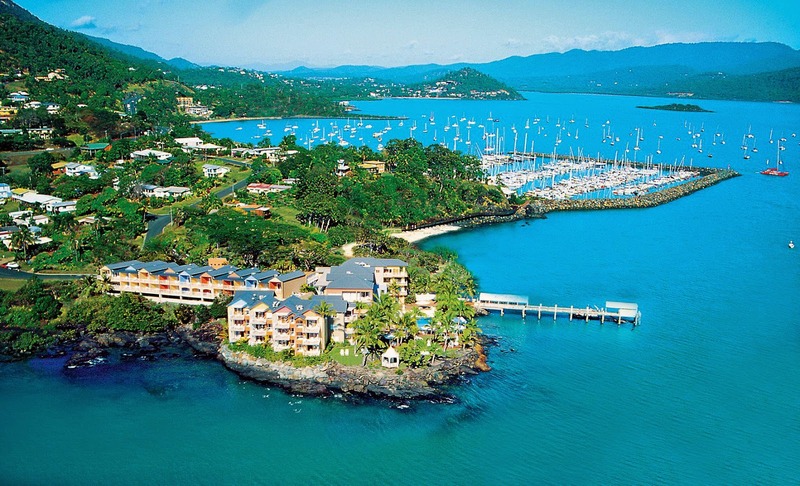 This is Airlie Beach where my son and daughter inlaw live. 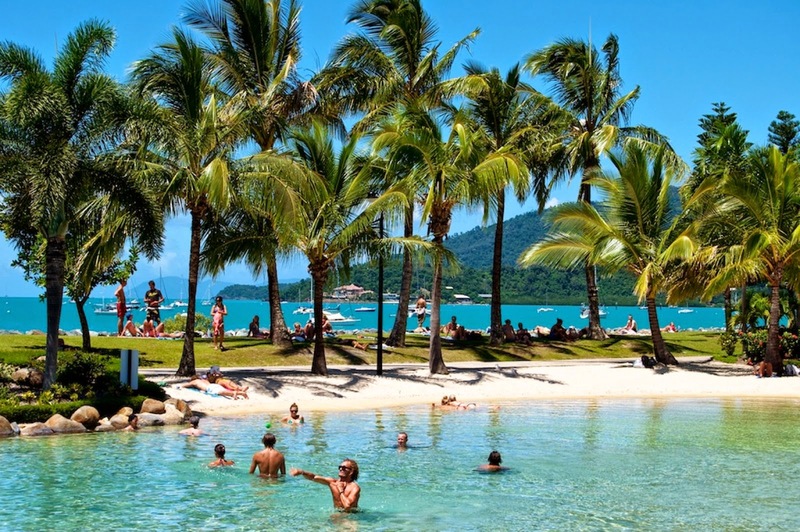 It is the middle of winter in South Australia, and in Queensland it is warm and sunny. Every day... Warm Every night. Heaven. "Heaven, did I hear her say heaven!!!! I was not even allowed to go to heaven." "She is dumb. You only go to heaven when you die. Well I tell you she is NOT dead." "She is making this all up." We all went to Day Dream Island for the day. If every there was a perfect day that was it. Warm sun, pool, Laughter, family and friends. "Mermaids. well I ask you have any of you seen a mermaid??? I tell you Granny is just trying to make me sad." 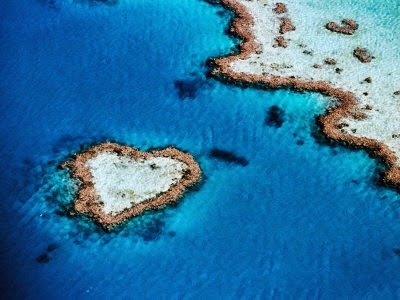 There is even a heart shaped coral island, out in the Whitsunday Islands. This beach has the finest, whitest sand in the world. 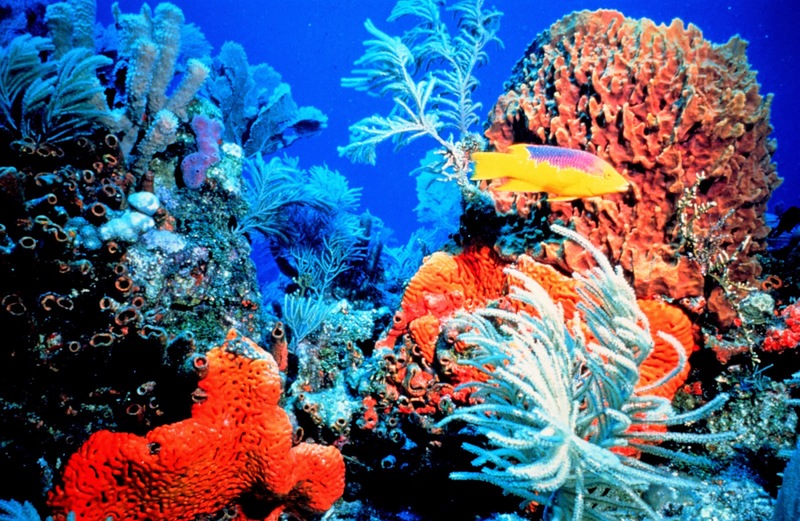 We didn't go out to the great Barrier Reef to dive, although if you did this is what you would see. The end of a perfect day and holiday. We celebrated my sons 50th Birthday. Granny has made me the Biggest warm chocolate milk and two pieces of peanut butter on toast, because I said SORRY for being go grumpy. I am going to bed dreaming of all the bears from around the world that I will see. We will have warm weather as well because it is Summer up there. 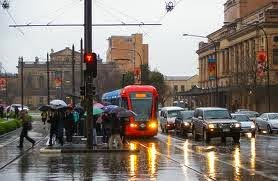 This is winter in Adelaide. Welcome to Zu Zu 13. I hope you enjoy reading Wilbur's stories. But envey rots the bones." Congrats with your son kay! Thanks for the beautiful pictures.....it makes me dream....! Granny is right, Wilbur. It will all be ok. Camp will be so much fun for you. I am glad to see that Granny had such a nice holiday. 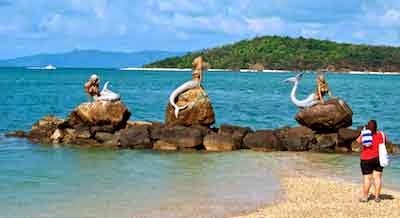 The pictures are beautiful and I believe that is what heaven looks like ;-)...maybe without the mermaids. I don't understand WHY you were left behind. The excuse of camp being such a short time away just doesn't fly with me either. Granny's pictures were bee-u-tee-ful but missing one very bearportant thing - YOU IN THE PICTURES. Please feel better, and just think - all the fun and fishing and campfires we will be having in just a few more days. Can't wait to see you!!! I'd like to think that Granny would have taken you if she could. It's a thought anyway. I would be a little jealous too because those photos were beautiful. Some place I'd like to see some day. What a lovely beach. Tell Granny thanks for sharing them. It sounds like she had a good time and a break from dreary or cold weather. Have a great time with Prudence at camp! van de omgeving waar je zoon woont GEWELDIG gewoon. Zulke prachtige plekken vindt je niet in Nederland jammer genoeg. Nog gefeliciteerd met je zoon Key!!! En lieve Wilbur, voor jou gaat het ook heel gezellig worden hoor. Please cheer up, however I know pretty well how you feel. Sometimes life is not the way we want, but in the end I am sure it is wiser then we are...You will see you will have great time in your camp. Wilbur...I know exactly how you feel! I really do. Granny is one of the most wonderfulest Granny in the world..but..why couldn't she have just "stuffed" you into her big tote bag and let you go. No one would know..IF you kept quiet and didn't kick those big shoes you love to wear. Yep..you shoulda been able to go. You really shoulda!! Sometimes the staff don't have room to take a bear, and I think Granny didn't mean to be cruel. It would have been nice, but you'd have got sand in your fur and you'd have had to be brushed (we shudder at the thought), and you know that wouldn't have been too nice. Besides you're off on a big toventure all on your own without Granny and for much longer. So is she going to behave like that? I don't think so. So I would forget about being left in the lurch and start looking forward. Enjoy you chocolate and sandwiches.